In my case, I haven’t seen a complete episode of the original series since it went off the air. I was a frequent viewer for most of its run, though I did not last until the bitter end. I checked back in for the series finale and never once felt the need to revisit it in reruns. Aside from the rare snippet caught while flipping channels, I’ve been Full House–free for over twenty years. I’d have been fine keeping it that way, and I still have no interest in revisiting the old episodes, but the fact that I had left the show in the past helped me appreciate these new episodes properly. The Tanner girls were children when my sisters and I were children, and we were all close in age. By never watching the reruns, I haven’t trapped these characters in their childhood while I grew up any more than I’ve done so for my old grade school classmates. It makes perfect sense that they would have grown up, too. This trend of resurrecting old TV shows and movies has been a mixed blessing. Some properties, such as the Muppets, are designed to keep going in various incarnations. Others, such as Arrested Development, were taken from us before their time and earned another shot. And still others, such as The X-Files, should have reached a definitive conclusion and left it at that. An old-fashioned network sitcom is built to last as many seasons as possible, but generally it should eventually have a nice finale and stop as we move on to new shows. 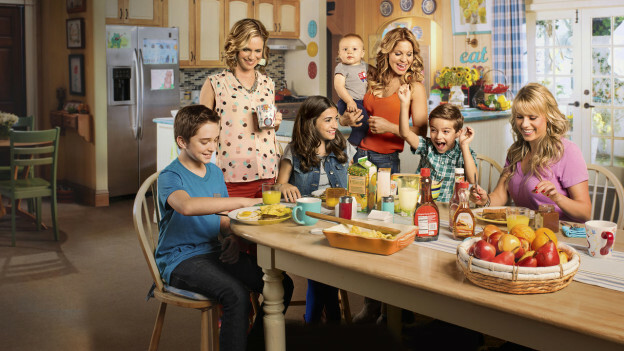 I couldn’t care less whether Fuller House gets another season. But despite the steady stream of groaners and the obnoxious, outdated laugh track, this set of thirteen episodes was a nice time, one free of any cynicism. It’s just shamelessly Full House. In proper grown-up fashion, it accepts itself without regard for what others might say.